If you want a great pair of MMA shorts with “attitiude”, you need look no further. As with all the Tapout apparel line, you get quality clothing with that “in your face” expressive design. TapouT is hard to find on sale. You can try Amazon as sometimes they list them on sale. For the largest selection of TapouT I've found go to The UFC Store. Carnal Damage is another place with free shipping with over $100 spent on gear. 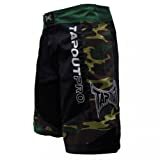 MMA Yard has a large selection of TapouT as well. 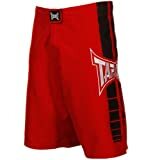 TapouT offers offers shorts not only built for function, but for that rebellious fashion statement as well. For training, running and sparring, a looser short is fine. 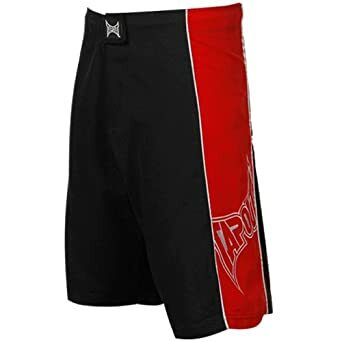 Many Tapout brand loose shorts come with pockets to store you money, keys, MP3 and even your cell phone. TapouT is rated #1 by some martial artist. 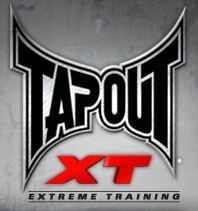 Is TapouT a winner or do they need to TapouT?. 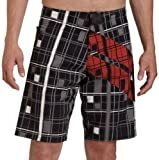 Board shorts are an important addition to your MMA wardrobe. 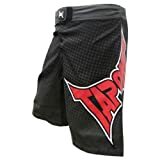 They are long, loose and comfortable for a great workout but also nice for wearing outside the gym to show your MMA spirit with that “expression of combat” TapouT is known for. 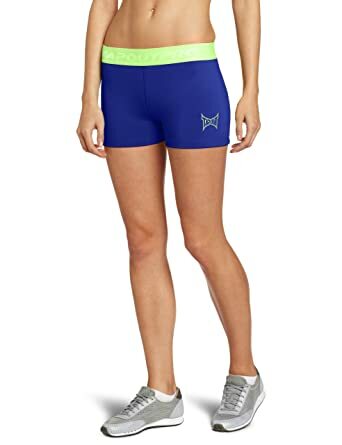 Sport shorts and walk shorts, like board shorts, are for training and everyday use. They are practical and comfortable and most have money and media pockets. But TapouT takes comfort and practicality to the next level with their flashy, sassy designs. If your are going to compete, you will need a pair of fight shorts designed specifically for the cause. TapouT fight shorts are made with additional stitching, extra grip and plenty of flexibility. There are, of course, no pockets on fight shorts. The whole focus is on the fight so you can get your kicks and look good doing it. Compression shorts offer that tight fit as well for “no holds” in fights and when you do not want a long or baggy short in your way. They have flexibility in movement without interference. With Tapout compression shorts, you get freedom of movement along with that infamous freedom of expression. Whatever short you need, TapouT has you covered...in style.